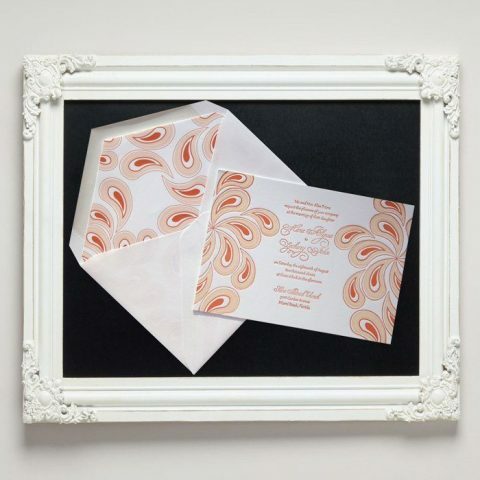 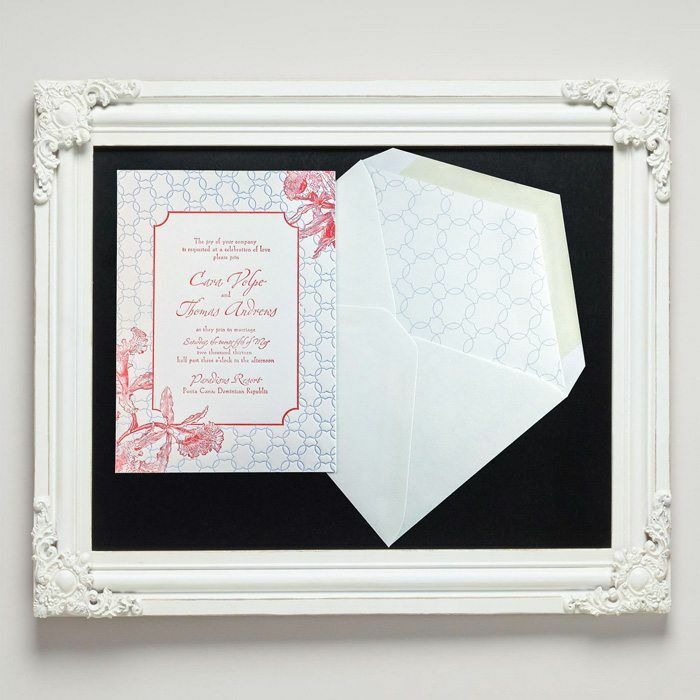 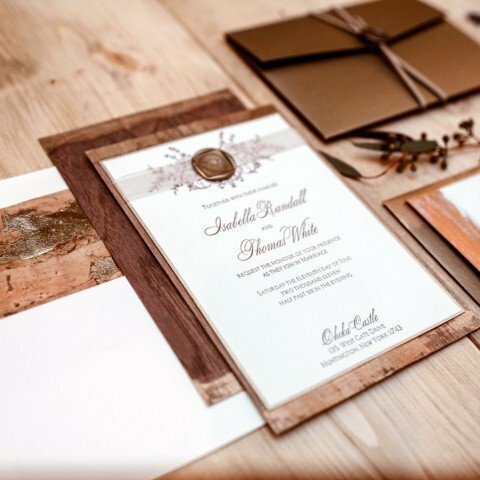 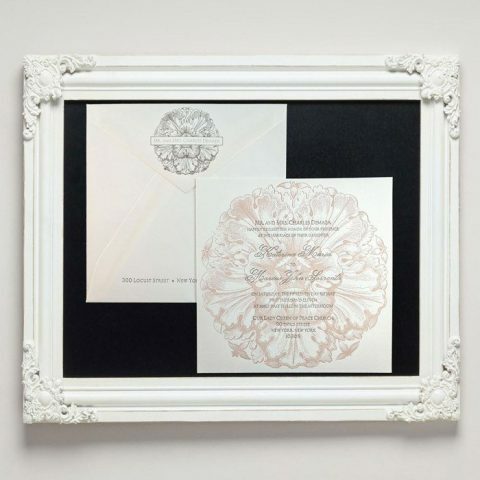 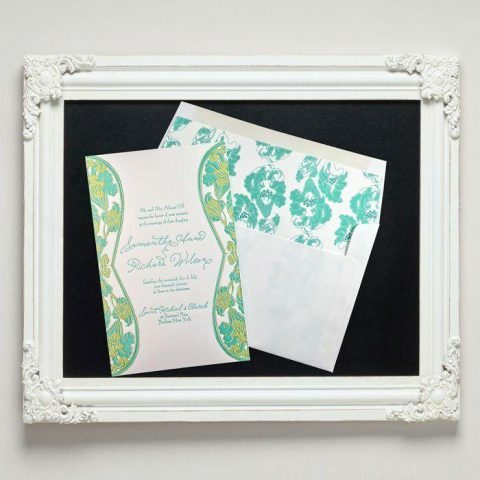 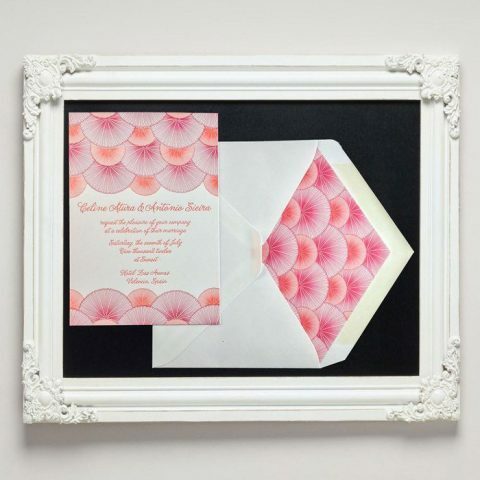 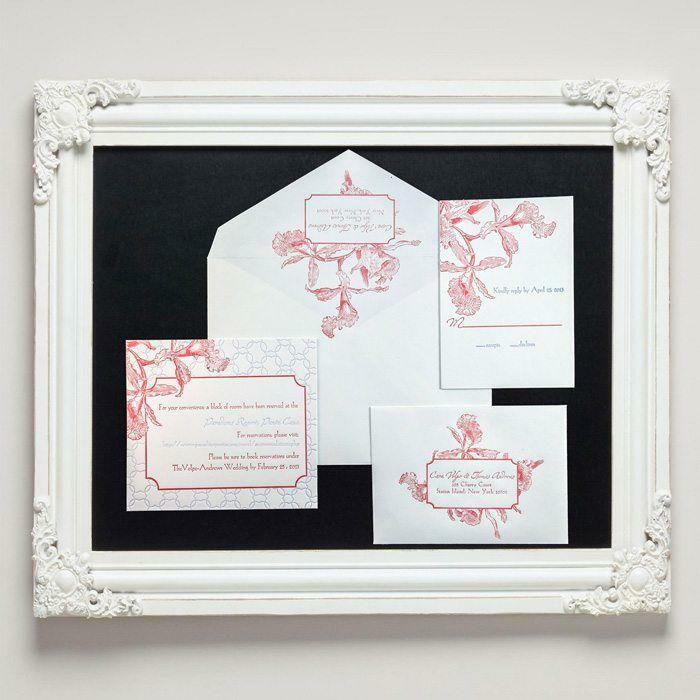 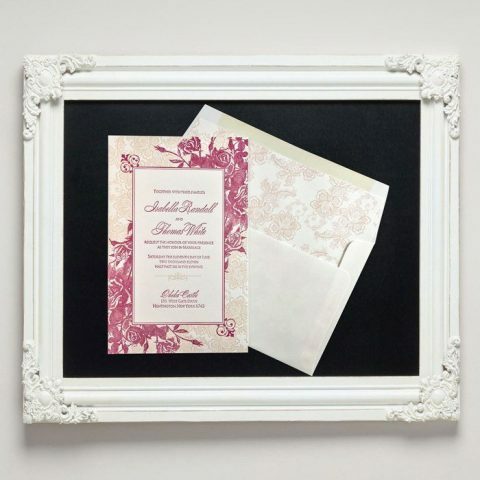 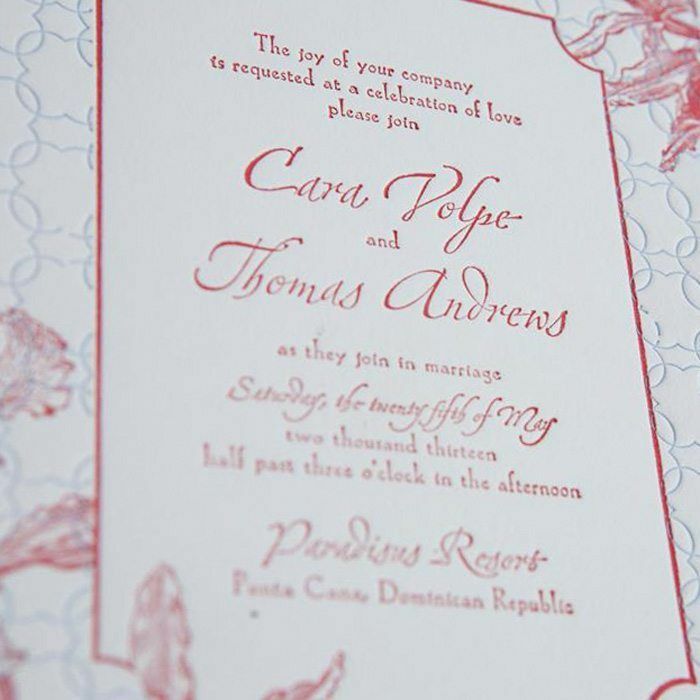 The Tropic luxury letterpress wedding invitations suite features tropical flowers overlaying a interlocking geometric background in a two-color design. 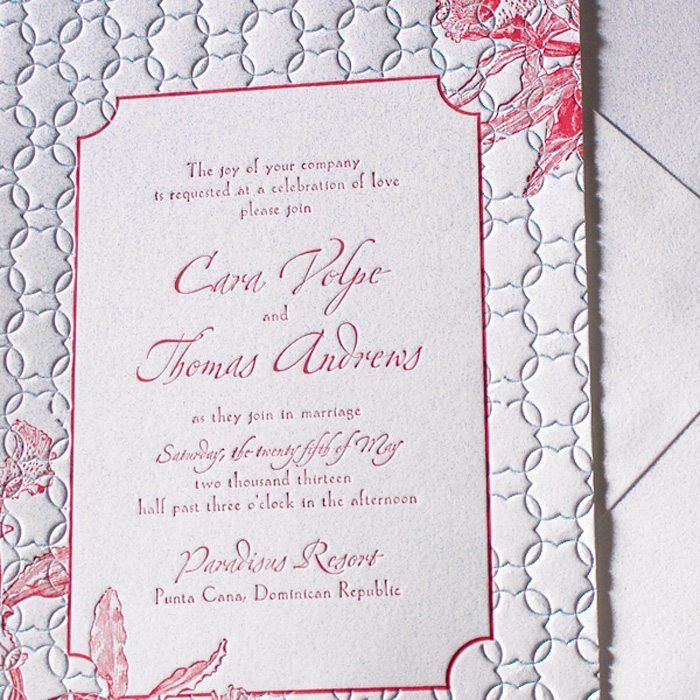 Perfect for a beach wedding or destination wedding. 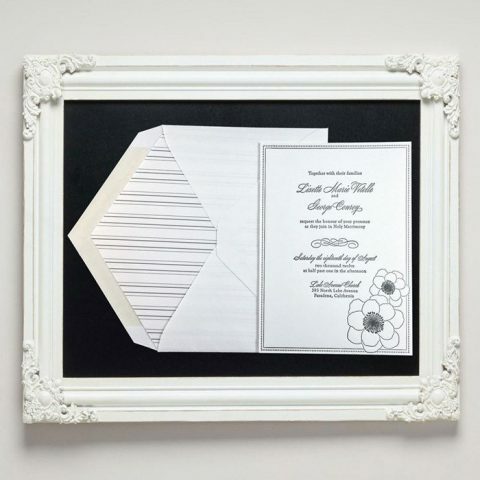 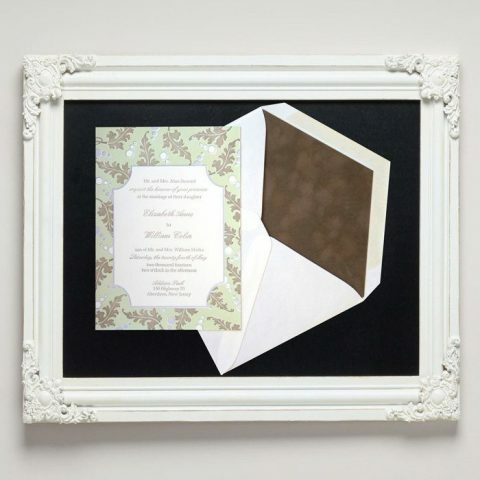 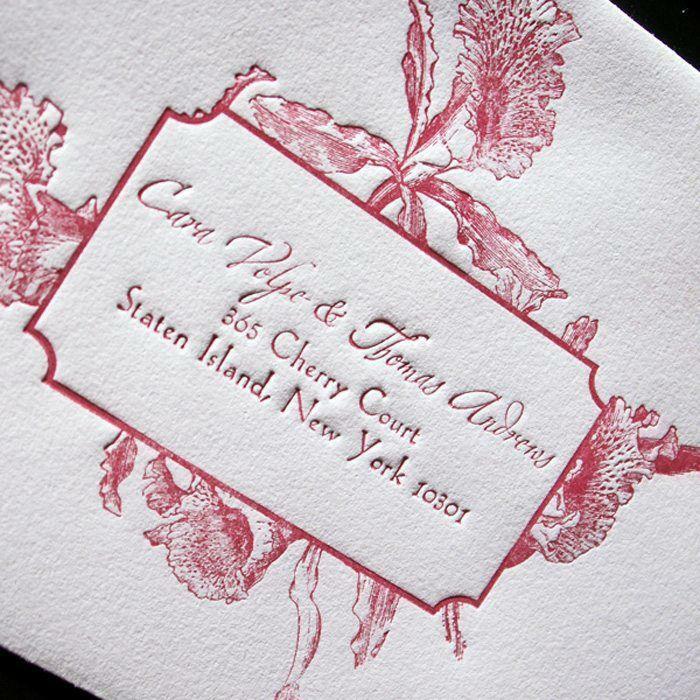 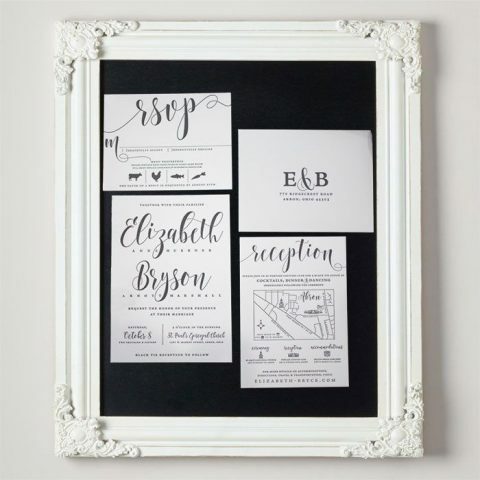 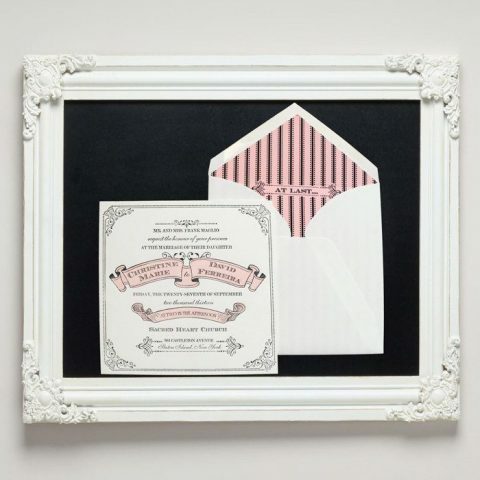 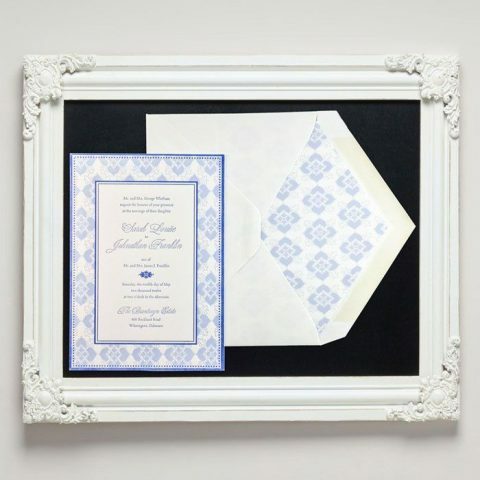 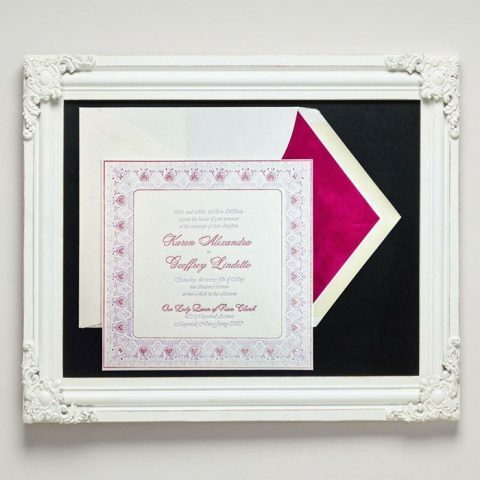 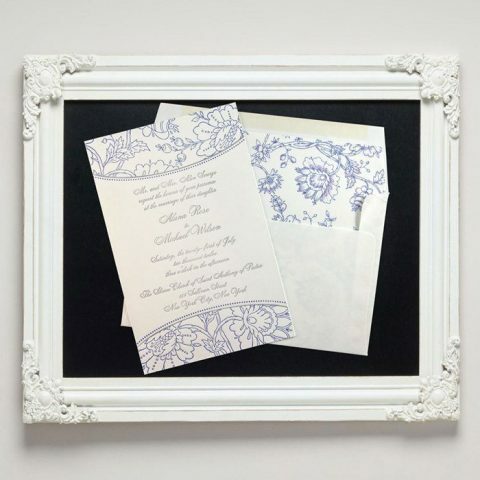 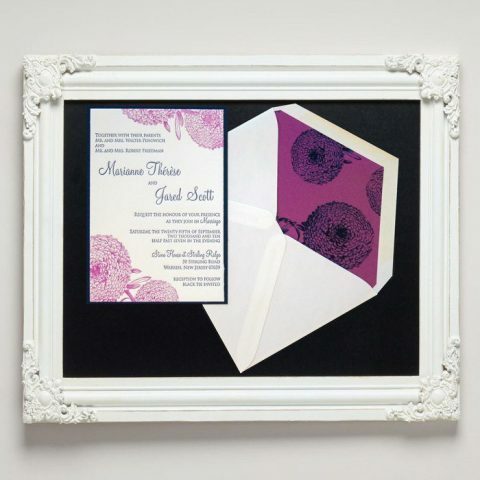 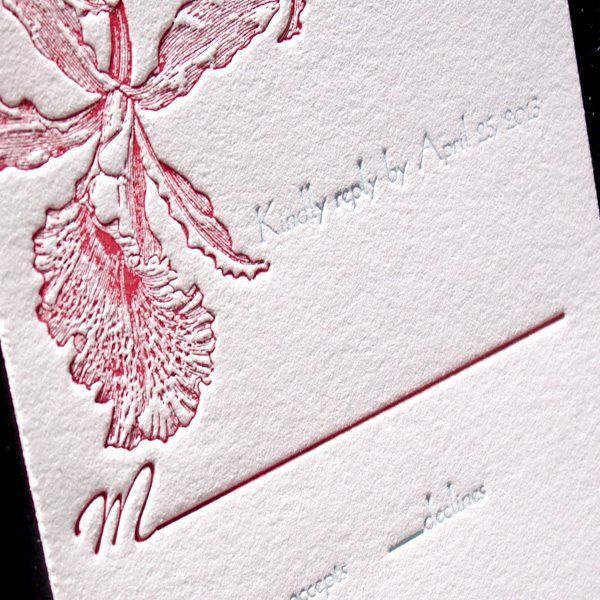 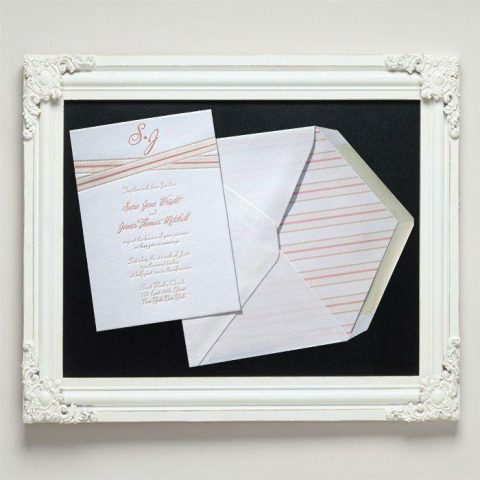 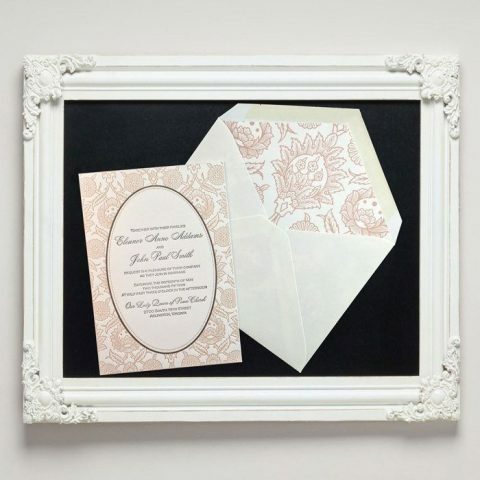 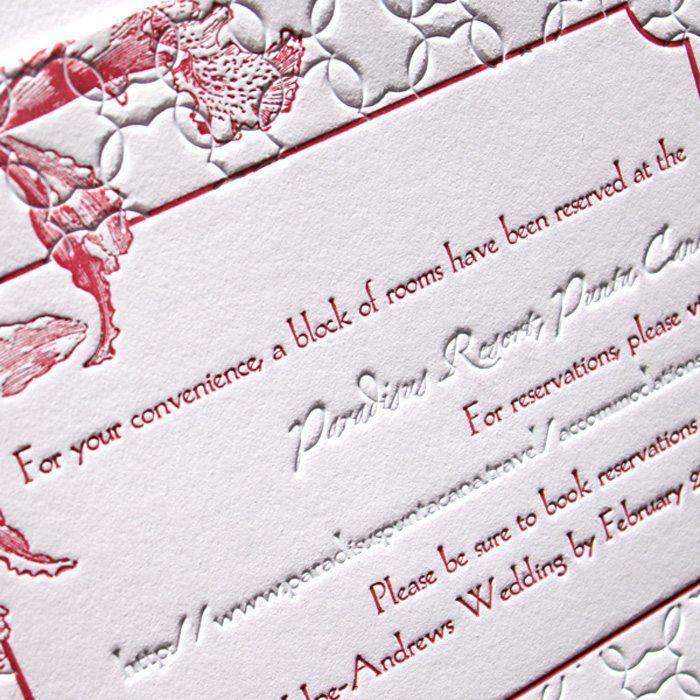 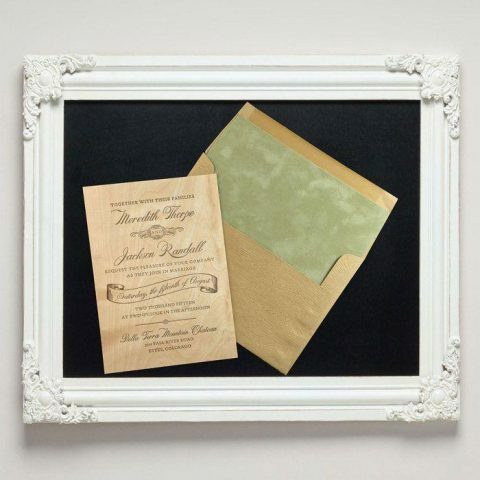 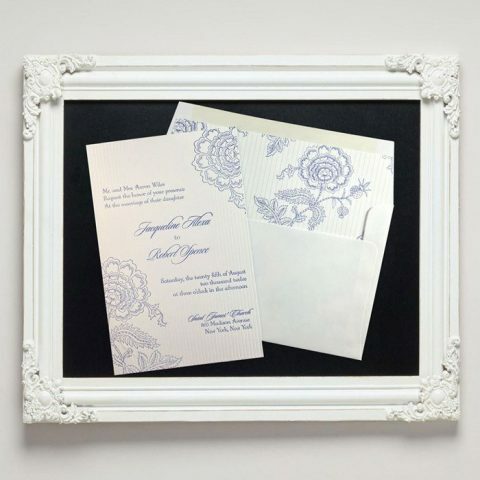 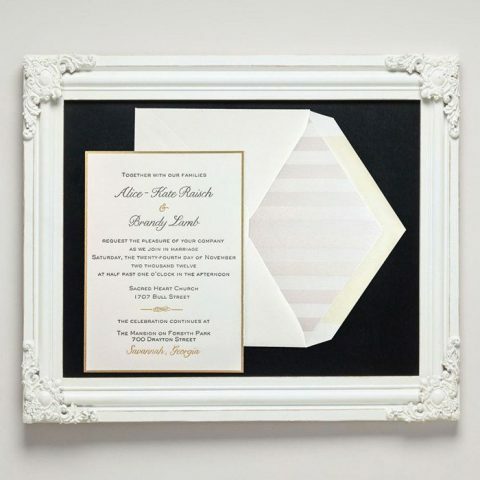 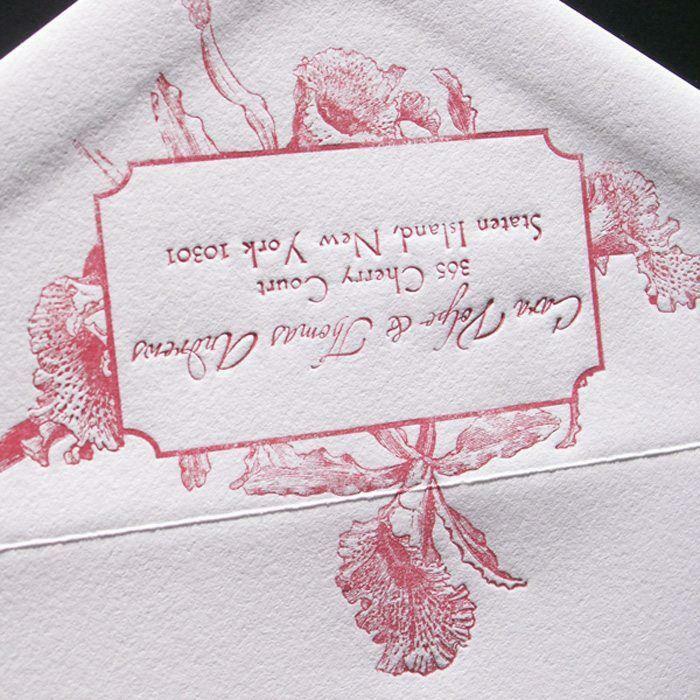 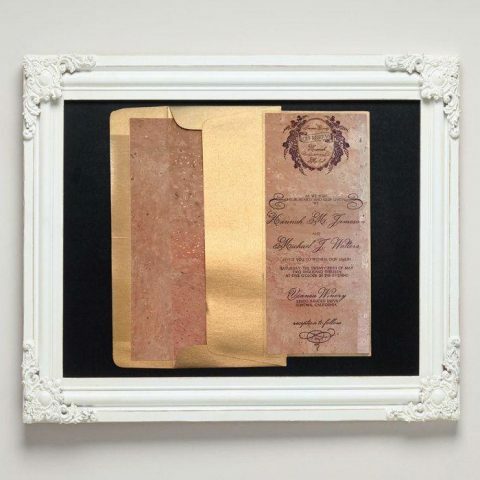 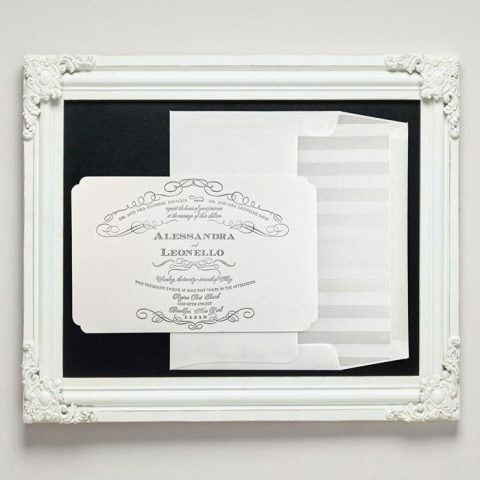 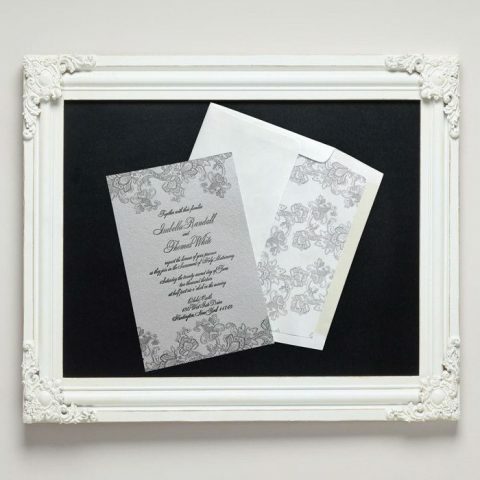 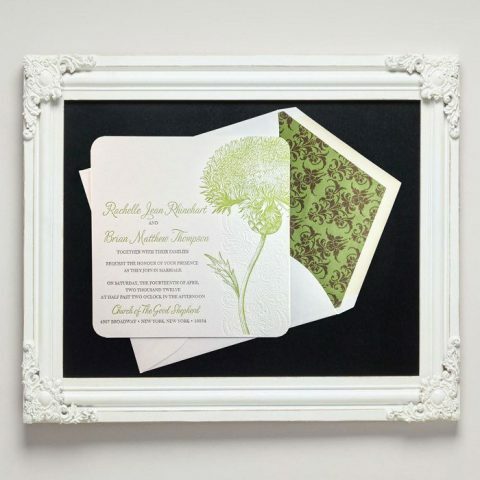 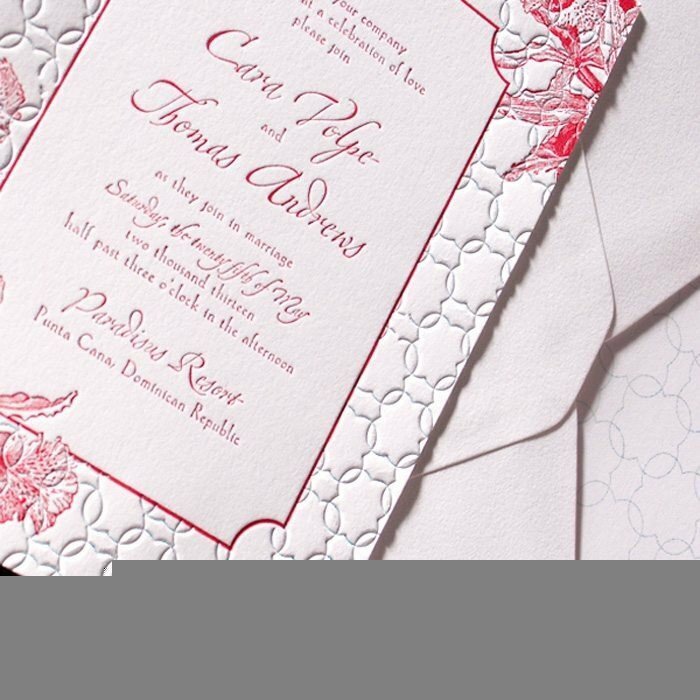 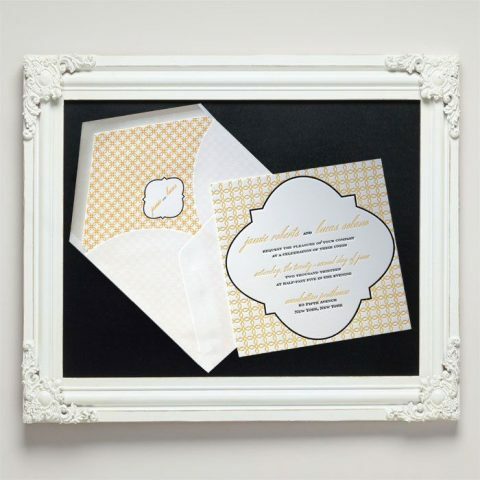 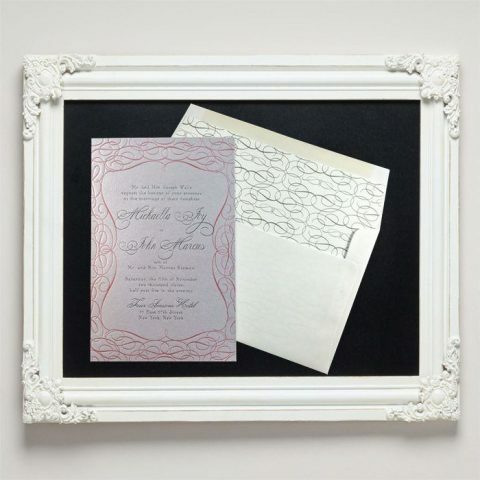 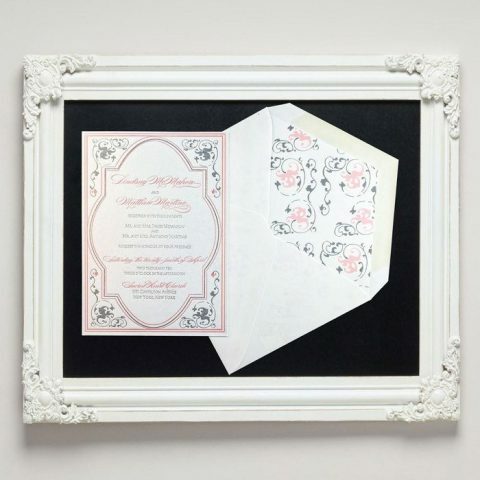 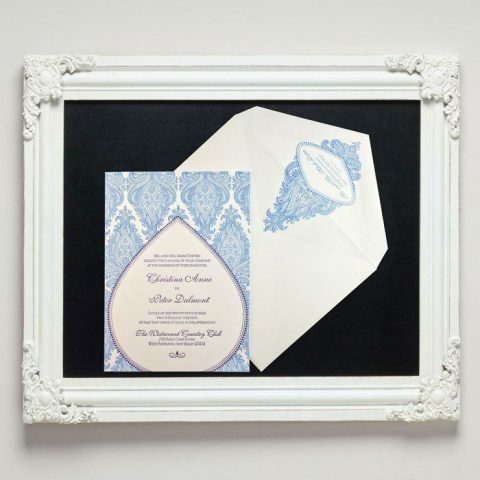 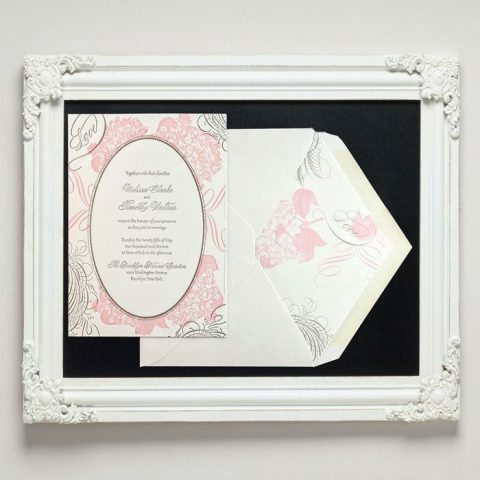 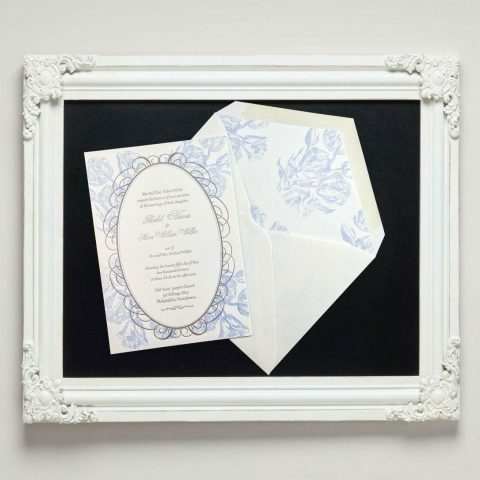 Each invitation is letterpress printed on plush cotton or specialty paper in your choice of color.